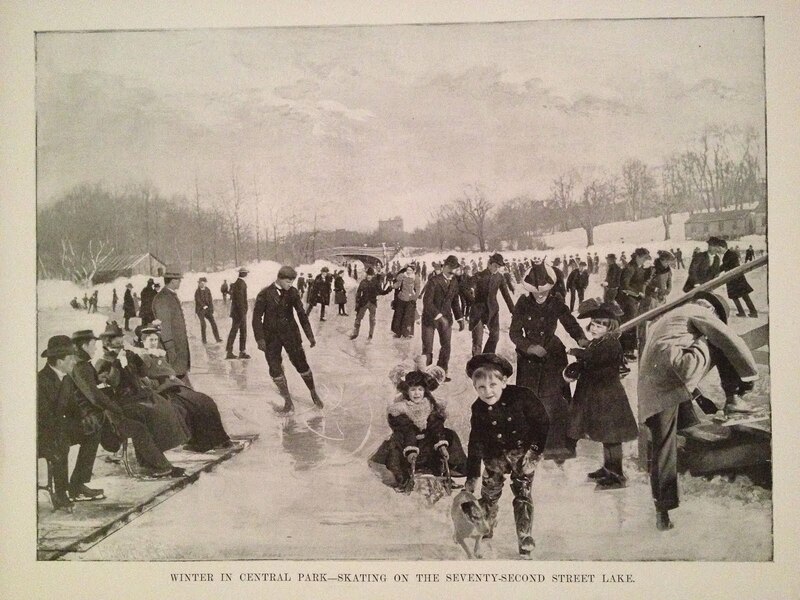 Skating on the lake in Central Park in 1899. Photo from The New Metropolis, 1899. It would be nice if we as a culture still had past-times like this instead of sitting in front of computers and I-Pads and 3-D, IMAX screens.